We're about a week (okay a little more) away from the premiere of The 100 S4. I am SO ready for the return and will be reviewing episodes again this year. So if you're a The 100 fan don't be shy! And of course I think It Starts at Midnight will be doing her usual reviews with her partners in crime- those are not to be missed. I reviewed Dark Matter this week (mind blowing) and discussed Would You Live Forever If You Could? 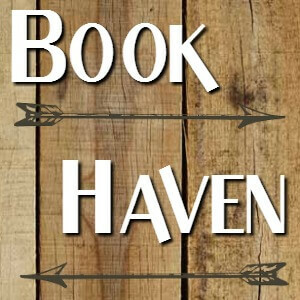 Next week's discussion will be on Cover Love and specifically urban fantasy- Is It Hot? And... my copy of Freeks arrived! I did a Cover Characteristics post featuring storm clouds. Tuesday Tagline featured Royal Bastards and my Top Ten was all about the underrated reads. My discussion post this week was Would You Live Forever If You Could? And I reviewed Dark Matter- an awesome read. Bookcover Spotlight #84 takes a look at an upcoming read. Cover Characteristics will look at retro scifi- I'm linking it with Vintage SciFi Month. Tuesday Tagline returns along with Top Ten freebie and a look at urban fantasy art for my Wednesday discussion post. And I'll be reviewing Rising Tides- a dystopian set in a world of elevated sea level. Bookcover Spotlight will look at one of my fave covers of the year so far. You made me want to read Dark Matter, Greg! It sounds so, so good! The pulp fiction cover looks very uncomfortable for the woman there... that position is pretty weird. The 100 is one of the many series that I want to watch. I think I might do a post about what I need to catch up on TV wise so everyone can see how hopeless my situation is! Not much happening here either. SO excited for Dark Matter but the library wait is going slow. Love that last snowy picture. Have a great week! The table breaking thing looks horrible. I hope that person in the second video is okay. And the pulp cover makes me uncomfortable, because the woman looks like she's been roofied. I CAN'T WAIT for The 100! I'm still debating whether I want to wait and binge watch or watch every week. I know I'll be salty about not being able to discuss it while it's on (and having to wait) if I decide to binge watch, but at the same time I like to be fully immersed. It's a tough choice. :D Love those pictures! Had a fairly quiet week too which has been nice because I've had more than enough crazy ones! Your review has me wanting to read Dark Matter. It sounds so intriguing. Love the art as usual! Have a great week! That sounds great Greg, to focus on other writing. I'm hoping to do that this year, but January has been a bust. Must check out your review of Dark Matter! Hubs and I have been thinking about returning to The 100. I need to figure where we left off! Not sure what compels some people. Looking forward to the 100. Loved the sunny 62 degrees weather today. Felt like we should go to the beach. Have a greet week. I have Dark Matter on my list....and I especially love the art this week. The city views, and the one with the balcony...awesome! Thanks for sharing...and I must check out The 100. Enjoy! Thanks for visiting my blog. So not table breaking anytime soon. LOL I am so thrilled you loved Dark Matter :) Hope the week ahead is a good one for you! 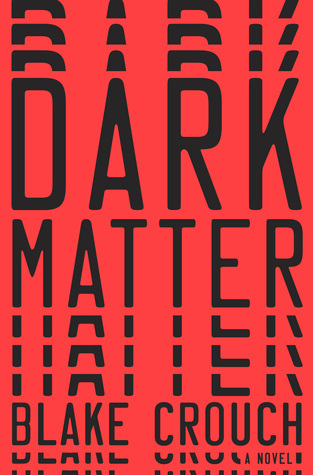 Dark matter sounds so thrilling - we really want to read it now. Love the art you shared. We're wondering, is Pascal Champion the artist, or the winner of some art prize? We'd like to find more of her/his works. Nice Sunday post! What the hell is the table breaking challenge, and why are some people doing it on top of other people?! I swear I question the sanity of people sometimes. Who in their right mind lays on a table and lets someone belly flop onto them from on top of a car or a building??? I need to read Dark Matter - haven't heard anything bad about it. I would love to write more but never have time (or rather, use the time unwisely instead). Have a good week. I'm trying to catch up on The 100. I've disliked Season 1 a lot, had to force myself through it and then ended up being positively surprised at the end of it and Season 2 took a very dark turn. I am now in the middle of it and hopefully will manage to catch up at some point! I'm off to check out your review of Dark Matter! I have been waiting for someone to review it so I could get a better sense! Sometimes I wonder about the trends that take off...table breaking...WHY?! It is a rather slow start to the year and I am totally ok with that, If the pace stayed like this I would be very happy. I hope you have a great week, Greg! Happy Reading! So I guess I need to add Dark Matters to my list, I wasn't real sure about it. So that Table breaking thing...why are people so stupid...lol. The artwork is minimalist and wonderful! I just love it and thank you for always including a bit of discovered pictures here each week; it's appreciated. Have a great week. Table breaking? Well, that's interesting. It always amuses me that little things like bottle flipping, planking, and table flipping can become such a big 'thing' in this day and age. As if there's nothing more constructive to do. Dark Matter sounds good and it would be a nice change from what I normally read. Plus everyone is talking about it so I'm curious now lol. The table breaking is crazy! It's scary to think of what they'll try next lol. You've always talked about The 100 so I need to check that out on Netflix. I hope you have a great week! 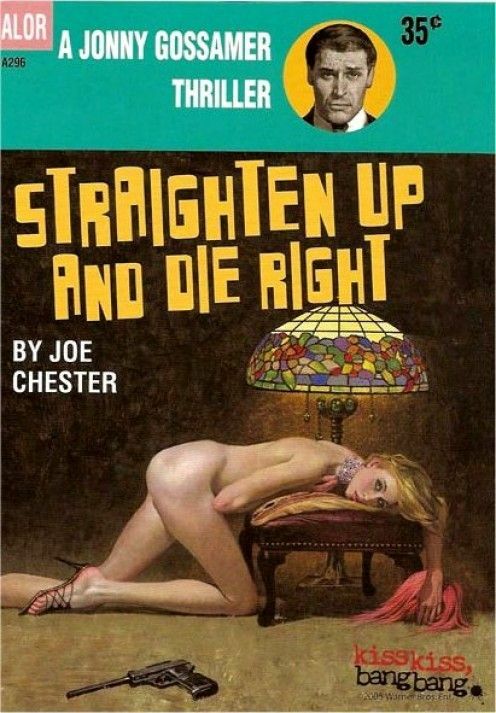 Pulp Fiction covers tend to have risque covers on them but this takes the cake, I think. Lol. How's the weather up there, Greg? We're having some unusual weather today -- for this time of year, that is. We're getting wind gusts of up to 35 MPH! Not that I mind, though. The wind takes the edge off the heat! Lol. Really enjoyed your review of "Dark Matter", and am looking forward to reading this book some time this year (hopefully!). I'll be checking out your "Cover Characteristics" post next week. Retro SF covers sounds GREAT!! LOVE that you're sharing more Pascal Campion art this week! I really like his work!! There is so little going on here too and I am feeling some winter doldrums. I need to get in the groove of doing something more productive for a longer period of time than what I am currently doing. I think I'm just a little bit bored and going from one thing to the next. Those crazy table breaking fools! They are all going to live out their old age in miserable pain. Awesome week you had! I haven't seen the 100 yet, but I would love to and I'm hoping to read Dark Matter some time! I think it's b/c of you I added Dark Matter; it was really intriguing to me. I hope to post tomorrow as I have laundry to start and need to get some crocheting done. Takin' a quick break as I'm heating up burger and fries leftovers right now from yesterday's jaunt to BJ's. The little one was awarded a certificate for a free kid's meal from her PE teacher who liked how she listened to directions and immediately carried them out. Have a good Sunday. Crazy videos! And I'm excited for the return of The 100 and The Walking Dead. Such fabulous artwork. Thanks for sharing, Greg! Awesome art - I really like Winter Bonfire! I stopped watching the 100 when they got to the AI... my husband didn't like it and I really only have time to watch TV with him, so yeah, it just fell by the wayside. I'm curious to know what's happening though, so I may read your reviews, despite not being current with the show. Wonderful art work - love them all, the simple and the beautiful. I don't watch 100 but so happy to know you have a show you really look forward to. 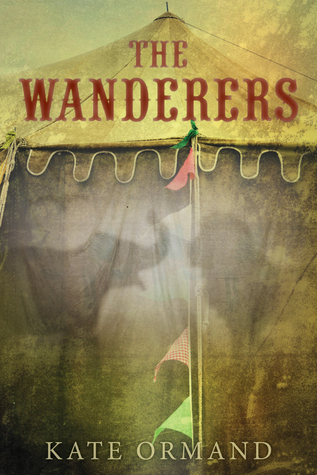 I'm curious about The Wanderers. Will have to look for your upcoming review. I like Pascal Campion's artwork Tomorrow Same Time. Enjoy your reading and Netflix viewing this week! Beautiful art! I LOVE Winter Bonfire, Walking on the Beach at Night, and Sometimes I Just Can't Sleep. And the cat one, because I love cats! Ok then, I'll dig out my Dark Matter. Love the last two pieces of art in particular. I love all the beach themed artwork. I could use a day at the beach right about now. I am obsessed with The 100. (At least we get to see Charles Vane there, right?) I look forward to the new season. I'm glad you are a fan as well. Enjoy your books! I really love Pascal Campion, I am so glad you shared him with us. They are really slice of life art, and I love the styling. I couldn't finish watching The 100. :( My husband can't wait though for the next season! I'm looking forward to seeing your own fiction! I toy around with writing too - maybe I will do a little writing of my own! Wow, you've just reminded me that I haven't got around to watching The 100 S3 yet. Oops! I did enjoy the first two seasons though! I love the art! So pretty! I've seen Dark Matter on a lot of blogs lately, might have to make some time to read it and see what all the fuss is about. Have a great reading week. Oh, that art! I just want to step right into those scenes. Table breaking? Who knew? But I LOVE the Pascal Campion artwork. I'd never heard of him, but now I need to see more!! Had Dark Matter on my wish list since its release but it's getting bumped up based on that review! Love Mark Hamill, that's pretty cool about the lightsabers. Have a fantastic week Greg! Gorgeous art. These posts are always so eclectic and fascinating. Thank you for sharing all your discoveries with us. I had to Google flash fiction since it's not a term I've come across before. Sounds interesting! Do you ever share any of your writing? I just picked up Dark Matter at the library for my husband. I'm hoping he'll love it, too! I need to read that Blake Crouch book soon, so many good things about it!! Hope you have had a good week! I had a few weeks like that as well, I don't have much to write in my sunday posts. I haven't watched the 100, but it sounds like you're excited for it it to return :). I always like seeing the artwork pictures you share. I really like the can't sleep one! I cannot believe all the posts of your I missed with all of the po!itical stuff going on! I just commented on the orevious post andam commencing my menting spree. Ha ha!